Kick decorating into high gear with the stylish look and vintage appeal of this metal motorcycle wall sculpture. 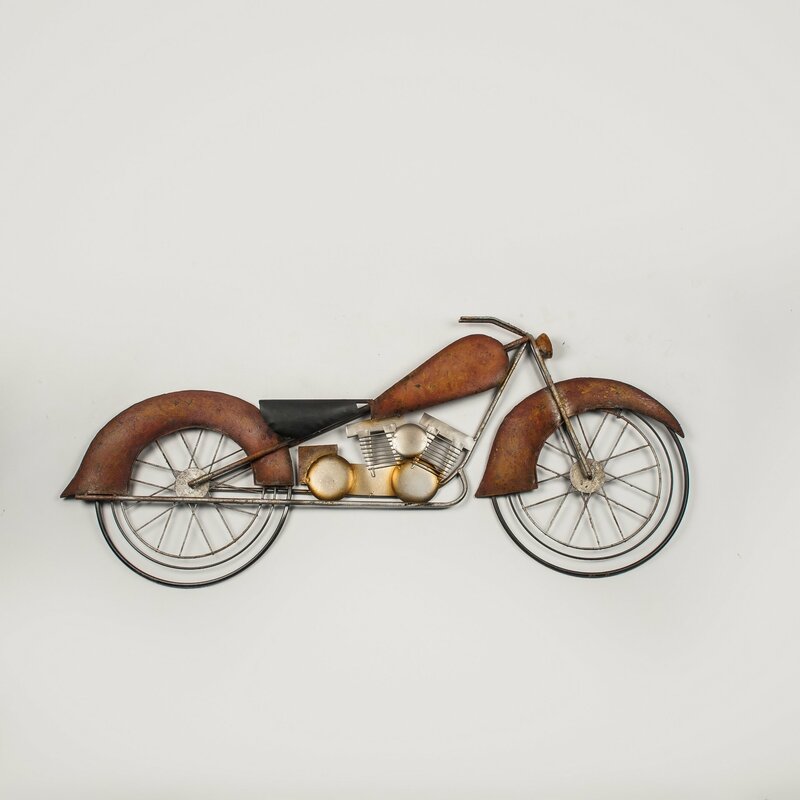 With its muted earthy colors, this bike wall hanging will coordinate with any colour palette indoors or outdoors, and it perfectly captures the details of the silhouette of a vintage motorcycle. The Touring Bike would look fantastic in a bike-lovers shed or man cave. There are small rings on the back so you can hang the bike from hooks.